OP Rawat, a 1977 batch Madhya Pradesh cadre IAS will retire. Post retirement, Rawat will be stationed in Bhopal. Being posted as an additional secretary and financial adviser in the same department, DPE, Sidhu’s appointment as its secretary will ensure a smooth transition of bureaucratic functions in this critical department. The DPE will be in focus if the government decides to implement the Roongta committee recommendations before the model code of conduct is enforced ahead of the general elections. The panel has recommended fixed tenure of CMDs of public sector companies among other recommendations. 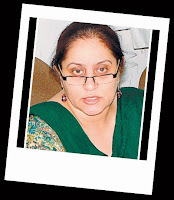 Ms Sidhu in her long career spanning 34 years in bureaucracy has served both in Haryana and Punjab. Between 1986 and 1989, she was on a Central deputation and worked in the ministry of information and broadcasting. In the state, she was secretary in various departments including personnel, tourism and power. Her tenure as a Chief Electoral Officer of Punjab was a highpoint in her civil service career. She showed her management skills and also guts when she successfully handled both the 2009 Lok Sabha elections in the state and Punjab state assembly polls, 2012. 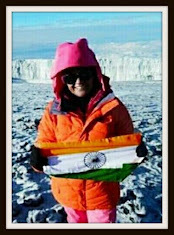 An MA in history, Sidhu is a Hubert Humphrey fellow. welcome mam,on behalf of Hindustan photo films and sick psu employees (we are in 1987 scale of pay) expecting our 1997 wage revision from you.we are waiting more than 22 years for a single wage revision every body assured but still we were not getting wage revision.other psu are going to get 2012 wade revision,but we are still beg DPE for 1997 wage.we are also psu employee in India.what is our mistake,.why punish the innocent employees.please do something for us mam.Once again we congrats and hearty welcome to you mam!! -Thank you.